There are no big surprises with The Parisian Christmas-Bake Off. You’ll go in expecting a book about baking set in Paris at Christmas, and that’s exactly what you’ll get. And that’s fine, because this book is not setting out to take anyone by surprise or to subvert any genre expectations. It’s a light hearted, warm story about a young woman who goes to Paris to bake. Rachel, working as a teacher and settling for the occasional visit from her commitment phobic musician boyfriend, is getting on with life, but not really living up to her full potential. All of her friends know that she is a baker at heart, so they get together to send her off to Paris, to take part in a competition to become apprentice to super chef Henri Salernes. Of course, this is Paris, so a gorgeous, charming man catches Rachel’s eye, giving her another thing to concentrate on, as she tries to win the competition. Throughout the book it becomes obvious that Rachel is grieving for the mother she lost some years previously, and her grief is mingled with her feelings towards baking. Rachel is an easy character to like and root for, and the story is sweet and warm hearted. The main concern I have with it is that it is set over such a short period of time, just one week in the lead up to Christmas. This means that, for me, everything felt rushed. Rachel quickly forgave an act of sabotage by another competitor because she felt that they were good friends, after just a few days. The love story seems to develop at breakneck speed, meaning it’s hard to invest completely in it. But the male character that catches Rachel’s eye is the perfect hero for a book like this. He’s attractive without being perfect, he’s charming and attentive but slightly flawed. He’s obviously an ideal man for Rachel and it’s fun watching her work that out and avoid all the obvious obstacles. The baking part of the book is incredibly well written; fans of The Great British Bake Off will not be disappointed to see all their favourites in here! This is a lovely little read that is perfect for the festive period! 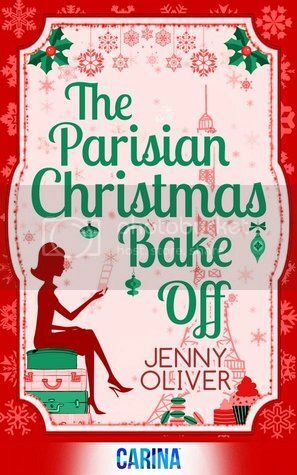 *I received an eBook preview copy of The Parisian Christmas Bake Off from NetGalley as an advanced reading copy. This review has also appeared on Goodreads and Amazon.